Home Nicola Conte Sharon Jones and the Dap-Kings Soulive Hi, Hello, How you doing...? I burst in to laughter at first but, thinking about it, I feel like one of the cool kids just stole my homework and passed it into the teacher! 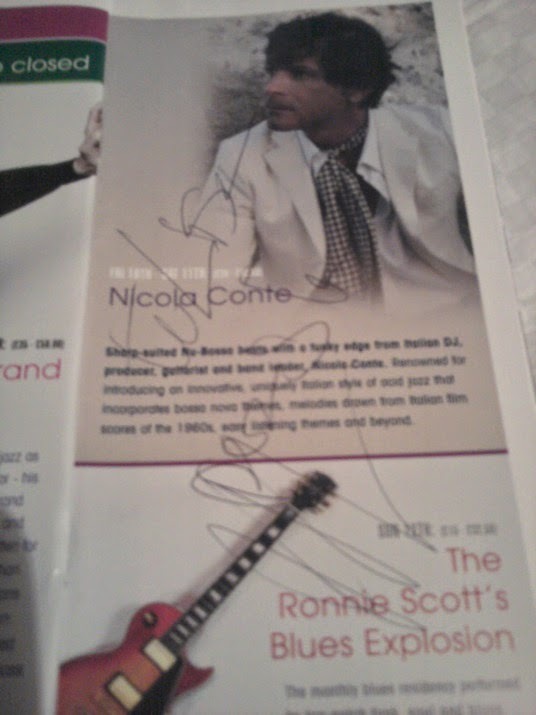 And then there’s the time I met Soulive after their Jazz Café gig, 23rd October 2010. 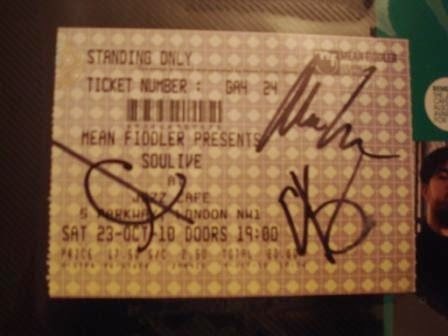 I had to wait 6 years for the opportunity but I’m happy to say that I own a signed ticket stub and a signed copy of their album ‘Rubber Soulive’. Soulive are my favourite band of all time so it was excellent to be able to tell them that but what I didn’t tell them is that their song ‘Joyful Girl’ was actually my wedding song. It would have been such an incredible thing to share with them so I’m really disappointed that I missed the opportunity and, on that note, that’s what I’ll leave you guys with. Thanks for reading.